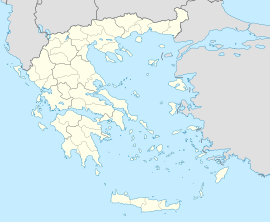 Neapoli (Greek: Νεάπολη) is a village and a former municipality in Aetolia-Acarnania, West Greece, Greece. Since the 2011 local government reform it is part of the municipality Agrinio, of which it is a municipal unit. The municipal unit has an area of 60.476 km2. Population 5,070 (2011). This Western Greece location article is a stub. You can help Wikipedia by expanding it.